ECO GREEN label is a USA voluntary scheme designed to encourage businesses to market products that are environmentally friendly. Available for the following products categories: all-surface cleaners, detergents for dishwashers, hand dishwashing detergents, laundry detergents, soaps and shampoos, drain cleaners, onsite sewage systems maintainers, cleaners for sanitary facilities, decontaminators, biological additives. EU Ecolabel is a voluntary label promoting environmental excellence, recognized throughout Europe. Available for the following products categories: Detergents for dishwashers, hand dishwashing detergents, laundry detergents, all-purpose cleaners only, soaps, shampoos and hair conditioners, textiles, footwear, paints and varnishes, electronic equipment, portable computers, televisions, wooden coverings, textile coverings, wooden furniture, growing media and soil improves, light bulbs, heat pumps, lubricants, mattresses, copy and graphic paper, tissue paper, campsite services, tourist accommodation services. Biological cleaners, that contain viable probiotic microorganism cultures. Biological cleaners, that contain enzymes. 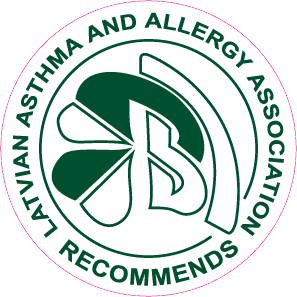 Certified and recommended by Asthma and Allergy Association of LR, voluntary scheme designed to protect people suffering from allergies and asthma. 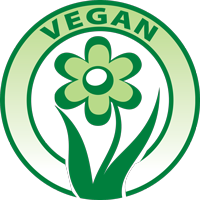 Does not contain materials derived or produced from any animal products. No animal testing. Tested and guaranteed to be original quality. Gentle enough even for baby’s sensitive skin. Safe to use, no gloves required.